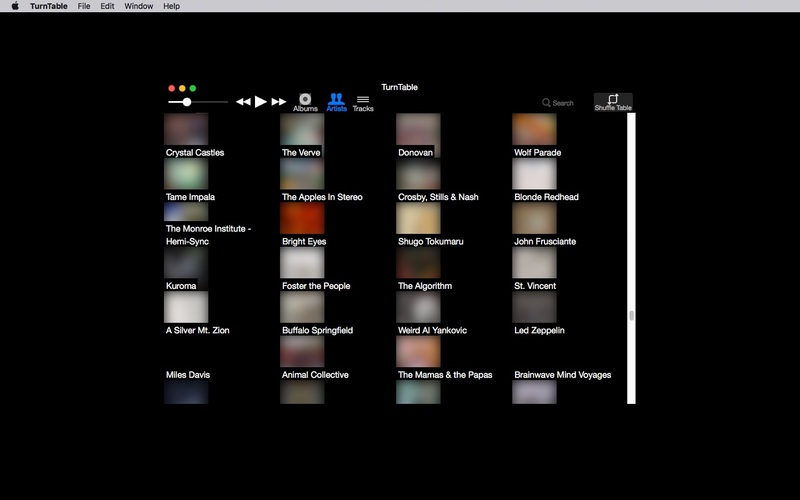 TurnTable 3.2.1 – Play your music with a new interface. The real albums experience, finally on the personal computer, for the first time ever. See full-size, full-color album art, designed just like a real album, but for the digital medium. The art is reflected wide-screen, like an album booklet. There’s never been anything like it in software. The closest you can find are actual records or CDs. Next story Folder Tidy 2.7.3 – Tidy up any folder with one click. Previous story One Chat Pro 4.8 – All in One Messenger. TuneSpan 1.2.1 – Effortless iTunes media library management. Denied 1.4.0 – Skip Terrible Music. Capo 2.1.10 – Slow down and learn to play your favorite songs.